Rhinoplasty is the popular way to search in the internet by Thai and it seems to be increase everyday which also means Thai people have more interesting in beauty, but we can see news in case of nose augmentation occurred some mistakes from the surgeon. So the people in this group should find more information, including expert surgeons for the surgery to be safe for them. Today, we will know how to make your nose look beauty. There are two favorite techniques; the first one is Alar Plasty in case of men, some are lucky that their noses are not too much excessive, you do not be worried about it because they are still handsome. 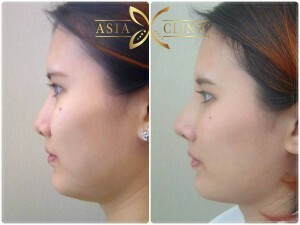 In case of women, it is the opposite site, if they have small and point nose, this can help them look pretty. Otherwise, Alar Plasty will be done for women than men. 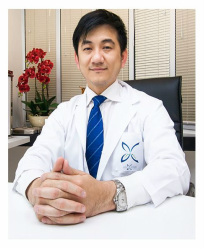 The second technique is Korean Rhinoplasty (Nose Augmentation) which is the hottest trend in Thailand many years since Korean Series coming which is included Closed technique (Nose Augmentation from the inside which is popular and help your tip be thinner) and Open technique (Nose Augmentation from the upper side which is suitable for tip alarpalsty and similar shape as Western style or anatomical shape) . The style for nose shape is depended on each satisfaction, but you have to consult with the surgeon and make good decision before doing Nose Augmentation.